Pork pork belly cooked sous vide; the meat is so tender it melts in your mouth. Pork belly with a sticky honey, apple and cider glaze can only ever be a good thing whether slow cooked in the oven or not. But it has to be said, when cooked sous vide it takes on a whole new level and personally I don't think cooking it any other way can beat it. The idea for the glaze came from my reading the packaging of ready cooked pork belly in Marks and Spencer. So, making it up as I went along adding a bit of this and a bit of that I have to say the result was good and turned out as I expected. So for anyone that doesn't actually know what sous vide is you can read in more detail my post Sous Vide Supreme review But here's a quick overview. 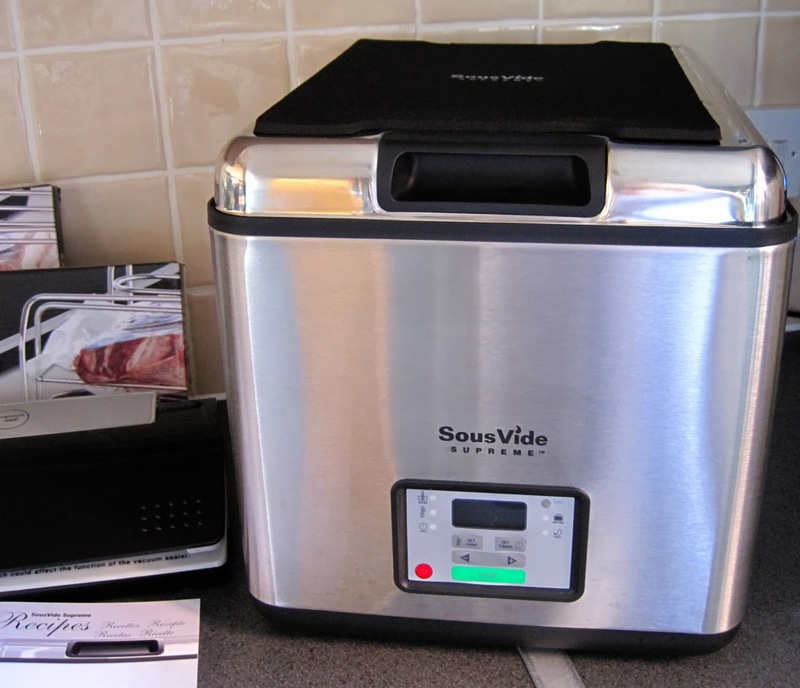 Thanks to The SousVide Supreme you can now have one of these amazing machines in your own home as their range is especially designed for home kitchens. The Sous Vide method takes the guesswork out of cooking, so anyone can create for example the perfect medium-rare steak just as you'd find in a top restaurant - at home. How to cook perfect Pork Belly in a water oven. A disposable foil tray would be good since the honey mixture will ruin a baking dish during cooking a bit later on. Start by mixing together 1 tablespoon runny honey mixed with 1 tablespoon of apple sauce and a splash of balsamic vinegar. Remove the pork belly from any packaging and season with salt and black pepper. Pot the mixture on a plate and sit the pork on the mixture (fatty side up). Cover with film and leave in the fridge for at least half an hour. 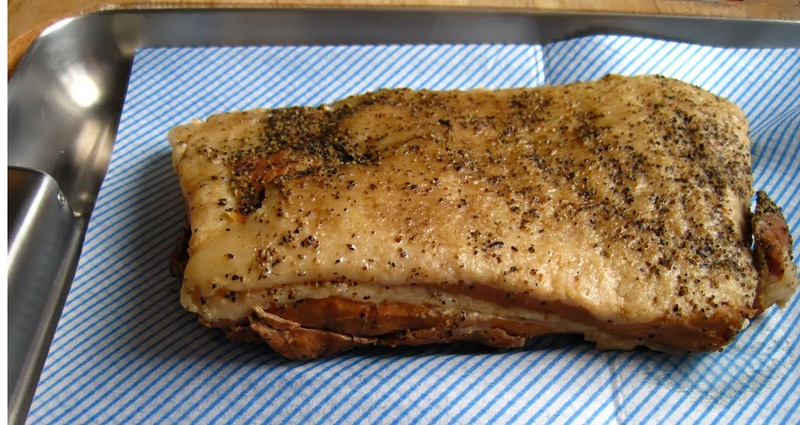 Remove the pork belly from the fridge and vacuum seal in a large sized pouch. Once the temperature of the water oven has been reached pop in the sealed bag and leave to cook overnight or whatever suits you best for 12 to 13 hours. 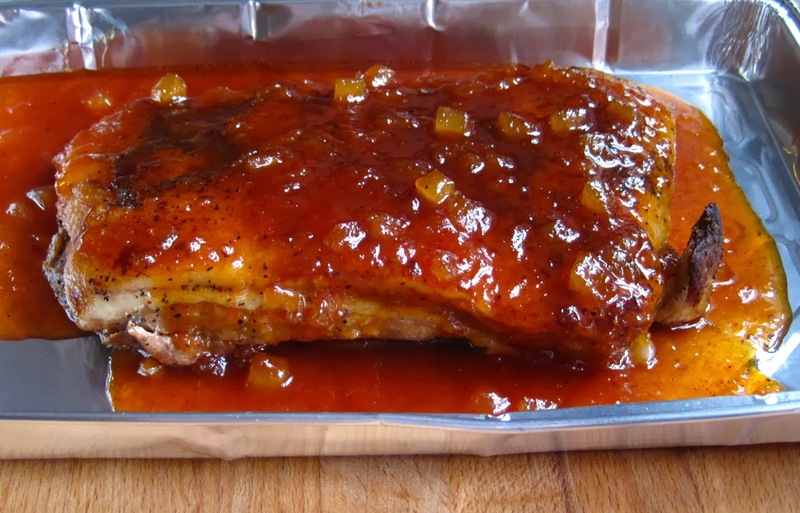 Once the pork belly has cooked away nicely, carefully as it will be hot, remove the pork and drain away the liquid from the bag keeping just 1 tablespoon aside to add to the glaze later. Place on a J cloth to dry - I find they are better than kitchen paper as they don't stick to the food. Now another good thing about the SousVide Supreme is the lid becomes a handy tray. Heat a teaspoon of oil in a medium sized saucepan and mix in the tomato puree. Cook for a minute, it removes the bitterness from the tomato puree. Now pour in the Cider and cook over a medium-high heat so it's bubbling away until the liquid has reduced by half. Stir in the apple sauce and honey along with a splash of balsamic vinegar and the reserved tablespoon of cooking liquid along with a good pinch of black pepper. Continue to to cook until that has also reduced by about half. Have a taste to check the seasoning, add a little more balsamic if you think it needs it. Sear the fatty side of pork belly in a very hot large frying pan. 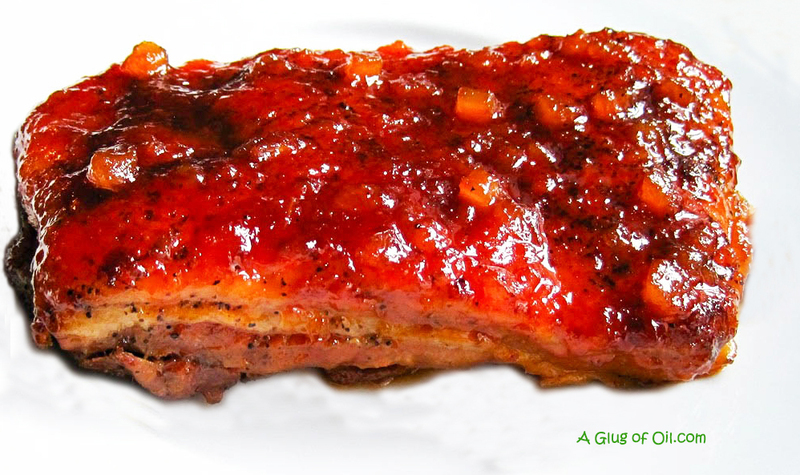 Transfer the cooked pork belly to a disposable foil fatty side up tray pour the glaze over the glaze. For safety reasons, it's best to put the foil tray on proper baking tray as they tend to bend and we don't want any kitchen disasters! Once the oven has reached temperature pop the pork in to cook the glaze for about 10 minutes, keeping an eye on it so it doesn't burn. Then serve. Start by mixing together 1 tablespoon runny honey mixed with 1 tablespoon of apple sauce and a splash of balsamic vinegar. 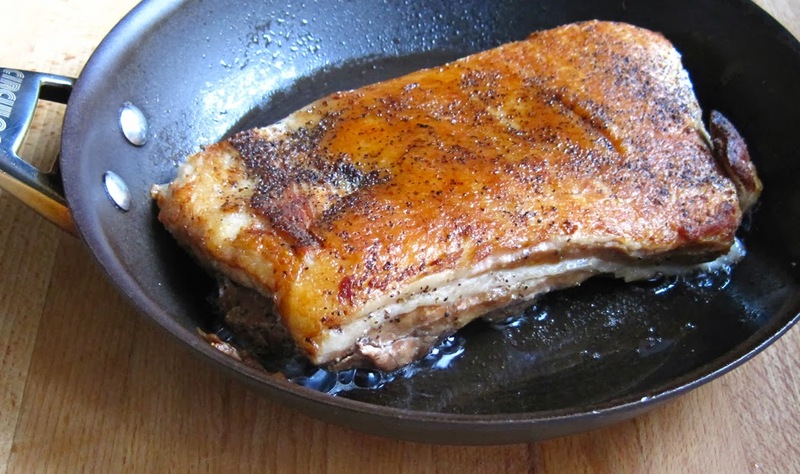 Remove the pork belly from any packaging and season with salt and black pepper. Pot the mixture on a plate and sit the pork on the mixture (fatty side up). Cover with film and leave in the fridge for at least half an hour. You can find more of my Sous Vide recipes by clicking on 'SousVide' in the label cloud in the sidebar of this blog. 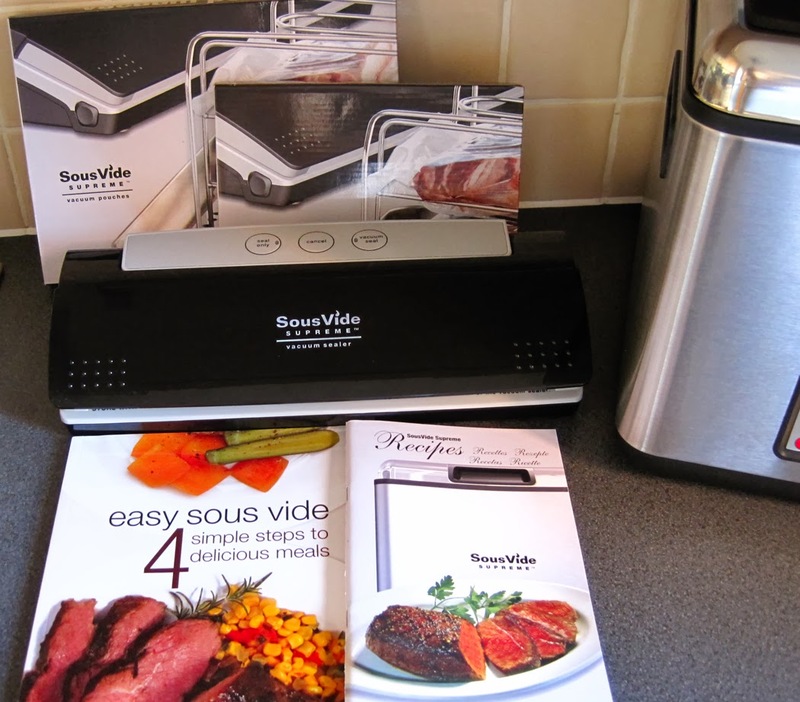 Disclaimer: I was sent a SousVide Supreme Promo Pack which consists of: a SousVide Supreme water oven, Vacuum sealer which includes 10 pouches. 2 boxes of vacuum seal cooking pouches, and the Easy Sous Vide cookbook. 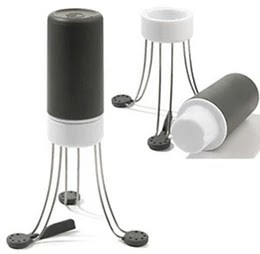 RRP: £506:98 (£422.48 excluding VAT) it is mine to keep in return for several blog posts and a total of twelve recipes.